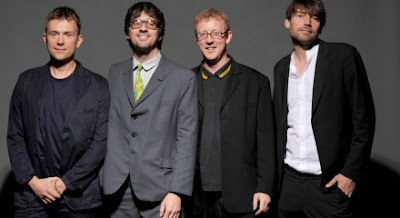 I have always been a huge Brit Pop fan and Blur ranks right up there with the top dogs. Any day is a good day when you get a chance to hear two brand new tracks from the Brit legends. The two tracks 'Under The Westway' and 'The Puritan' were debuted from a rooftop in London, and broadcast via Twitter. Both tracks will be available via iTunes and a 7" will be released August 6th via Parlophone. 'Under The Westway' was an instant must hear song for me with the perfect combination of melodies and vocals, a slower song that was well worth the wait. 'The Puritan' has a little early edge to it and will be sure to be a favorite as well.